Sen. Bob Casey’s longtime Finance Director Mike Butler will join the campaign team of Rob McCord. Since he is term limited as Pa. Treasurer, it’s a clear sign that McCord is gearing up for a bid for Governor. Prior to Casey 2012, when the campaign raised $16 million, Butler served as FD for 2010 Guv hopeful Dan Onorato. He was western Pa. FD for Casey in 2006. 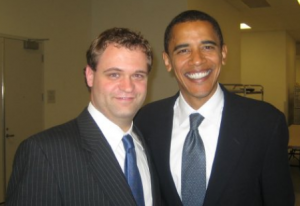 PoliticsPA named him one of the state’s Top Political Operatives in 2012. McCord has been seen for years as a likely challenger to Gov. Tom Corbett, who appears vulnerable heading into the 2014 cycle. However, it looks like the Treasurer will have to first win an expensive primary. Congresswoman Allyson Schwartz is a prolific fundraiser and has given every indication that she will run for Governor as well. Rob’s a good guy, but when Allyson finally enters the race officially, I don’t see him staying in much longer. She has more advantage in Philly, and will seriously cut into his advantage/support in Montco. So, she’ll get the Philly endorsement on the sample ballots, and might get the endorsement Montco endorsement as well. Delco’s a toss up between them, since Sestak’s not running. I don’t expect to see both of them on the primary ballot.